A Southeastern Washington legend tells of runaway horses discovering a remote treasure trove of native grasses to graze upon – giving name to the Washington region of Horse Heaven Hills. Pioneering farmers followed, raising sheep and dryland wheat. Then they struck gold – white gold – in the form of cool clear water. In a miracle of Biblical proportion they turned that water into wine. The story of Horse Heaven Hills wine grape growing begins with two main pioneering families – the Mercers and the Andrews. Five generations of Mercers have farmed in Horse Heaven Hills since 1882, owning and managing the same land since 1940. They began as sheep herders and eventually added row crops becoming the first to supply bags of baby carrots to Costco. Still in the business of diversified agriculture – carrot, onion and many other crops grow between vineyard plots. The story of the Andrews family began with George Smith and his son-in-law Bob Andrews. Smith busted out 100,000 acres of scrubland himself before 1940. Like the Mercers, the Andrews family worked mainly with livestock in the beginning and today owns and farms about 14,000 acres with 3100 planted to vine. Much of the vineyard land is owned and operated by the Mercer and Andrews descendants or was purchased from them. Riding around on the broad plateau of Horse Heaven Hills with Linda Mercer is a series of, “Yes, that is Mercer property. “Oh yes, and that is too.” It feels as though everyone is a cousin or uncle or at least went to high school together. In this scrubland, the alder trees are spindly but the family trees are strong. In the 1950’s the first well was dug and as water spouted from the ground the future of Horse Heaven Hills changed course. Doug Rowell, Owner/Winemaker at McKinley Springs (the son-in-law of Bob Andrews), tells a story of his Uncle, Byron. Byron was a well-witcher, and reasonably renowned for his skill. He could not only predict where the water was, but how much, and whether or not it would be a “gusher.” Apparently, he was also easily bored. At one family reunion in the 1950’s, he grabbed his willow branches and started wandering around. Uncle Byron said, “There’s water here.” He predicted that it was a lot of water and that WHEN they dug the well they needed to be ready to cap it. It was going to be an artesian well. Andrews believed Byron, even if the thought seemed crazy to others, and the photos in the McKinley Springs tasting room show that Byron knew his craft. Soon, other farmers began applying for water rights and dipping into the sweet water that lay deep in the ground. Irrigation transformed the dryland wheat farms into green oases dotting the desert landscape. In 1972 Don and Linda Mercer were the first in Horse Heaven Hills to transition from commercial row crops and fruit orchards into wine grapes. 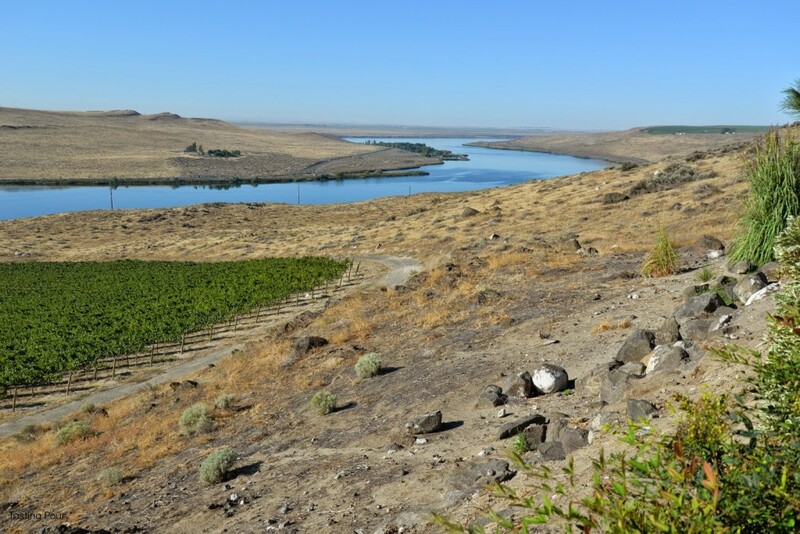 Irrigation, sourced from the Columbia River, was added in 1968. 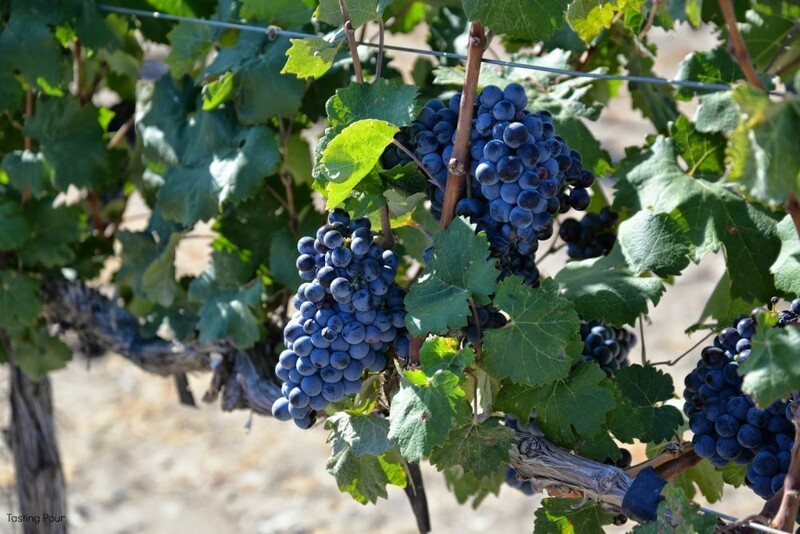 The Mercers began with Cabernet Sauvignon, Muscat Canelli and Orange Muscat. 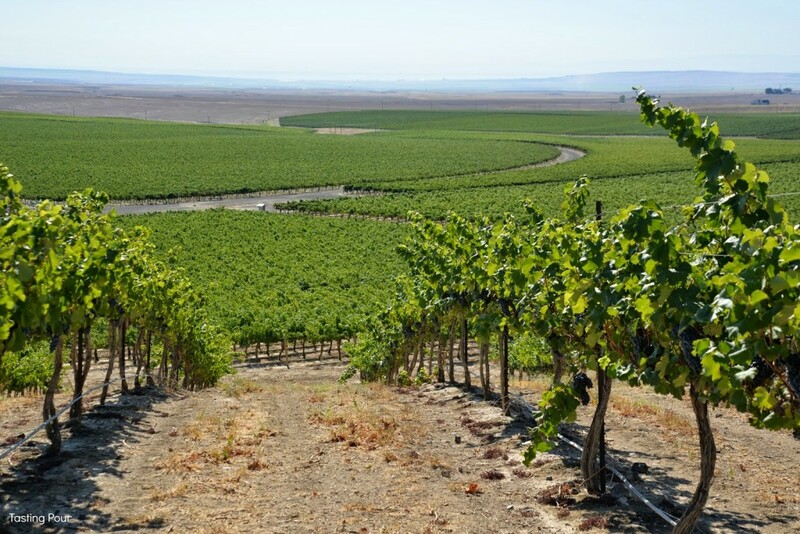 Many of the Cabernet Sauvignon vines planted throughout the Horse Heaven Hills have been sourced as cuttings from “Block 1,” the first Mercer vines. 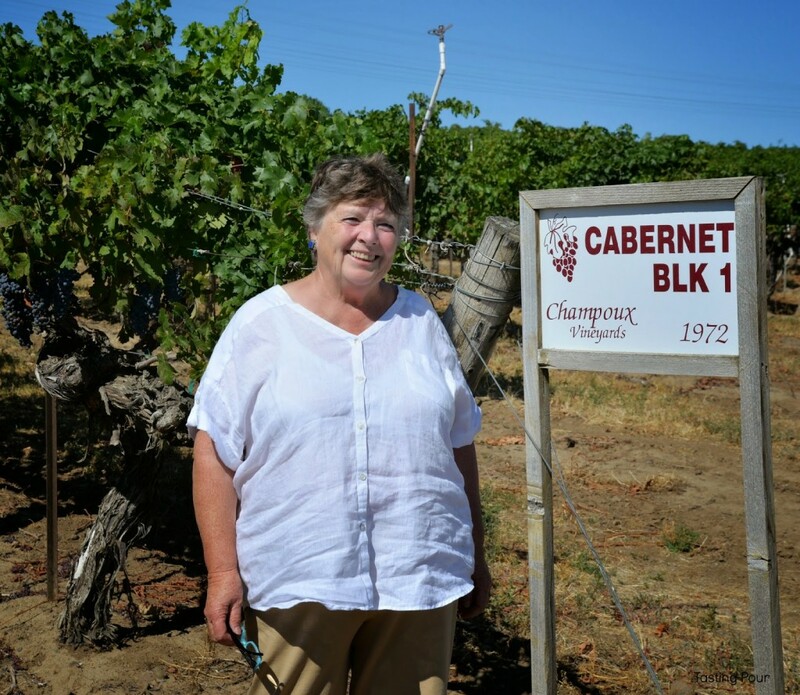 The Andrews planted their first vineyard in 1980. Washington wine icon, Dr. Walter Clore encouraged the Mercer and Andrews families. Doug Rowell explains that Dr. Clore said, “I think we can do this if we do it right.” Rob Andrews, Louise and Bob’s son, wanted to give it a try. Bob told Rob he could have some land, but not the best land. Rowell chuckles, “Turns out that was better for the grapes anyway.” In 1986 three of the Andrews children (Rob, Sandy, and Scott) along with their spouses founded Andrews and Rowell, continuing the family farming tradition. “The wine trade was different in the 1980’s,” explains Doug Rowell. “We grew the grapes and then had to find someone who wanted them.” Enter Columbia Crest, Chateau St. Michelle, and the wine boom of the mid 1990’s and these grape growers were in business. 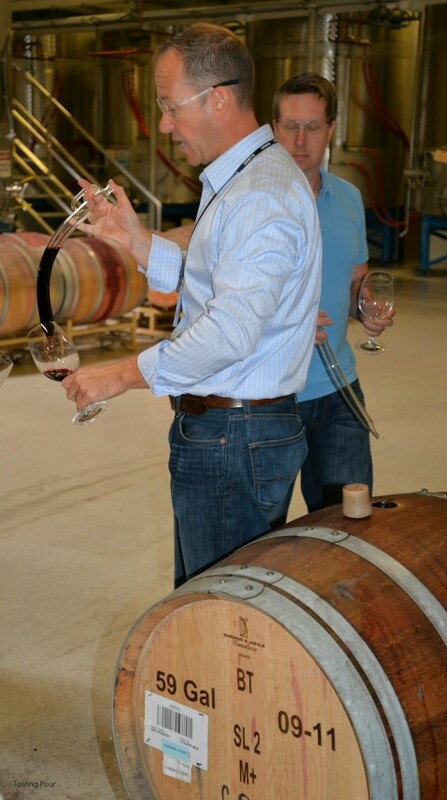 Raymon McKee, Red Winemaker for Chateau Ste. 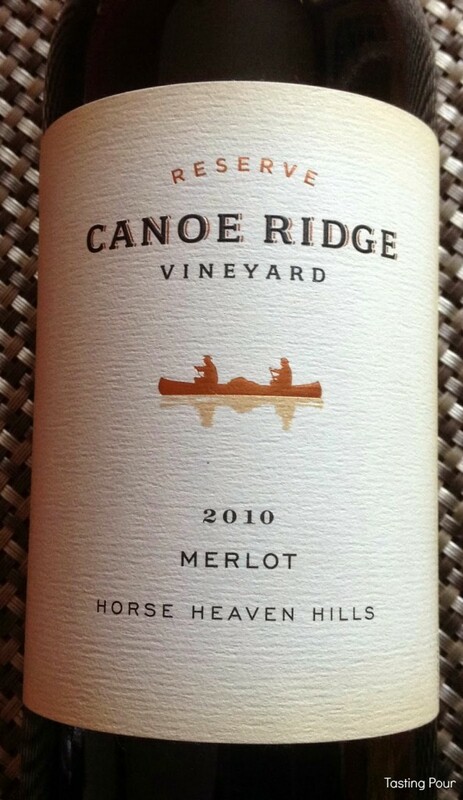 Michelle remembers, “The first time I made Merlot from Canoe Ridge I said ‘oh, yeah!’” He goes on to explain that Horse Heaven Hills is a warm growing region with cool site expression. McKee believes the winds and soils contribute to pure red fruits, like cranberries, without under ripe vegetal notes. The heat produces rich luxurious tannins. “Horse Heaven Hills is magical.” McKee beams. “The tannins are fine but have weight like a silk sheet.” This is notable because without careful winemaking, the windy Horse Heaven Hills have the potential to lead to mouth-leathering tannins. Overall the profile tends to be purity of fruit, judicious use of oak, balanced acid, and integrated tannins. Most wineries are aging reds 2-3 years and releasing bottles that are ready to drink, with some reserve wines requiring 5-6 years to show best. These are wines that play well with food. Cabernet Sauvignon is king, followed closely by blends of Bordeaux varietals. An array of varietals, from Albarino to Zinfandel are available. In addition to selling fruit, most Horse Heaven Hills growers devote a small percentage of their crop to producing wine under their own labels. In 2002 McKinley Springs was opened by the Andrews and Rowell families. 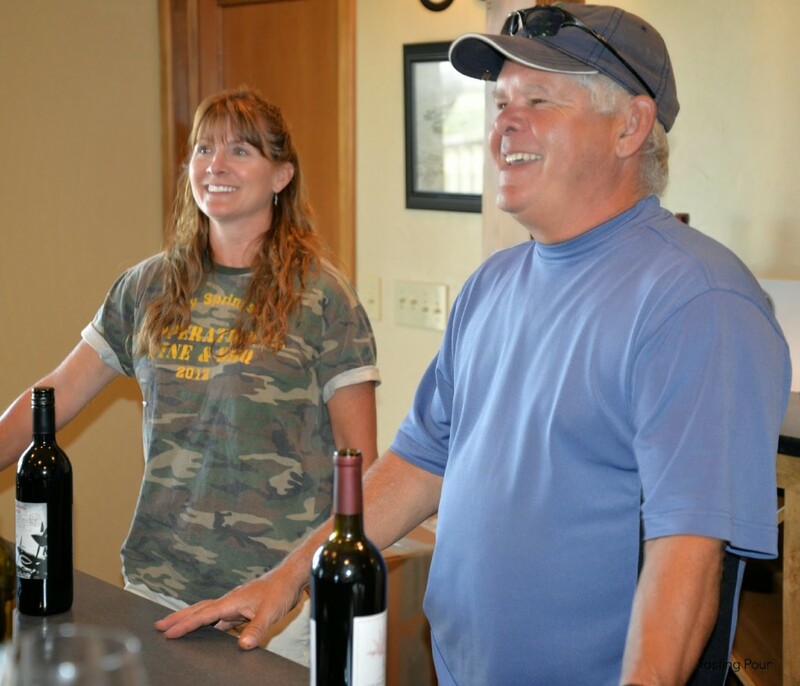 In 2005 Rob and Brenda Mercer founded Mercer Wine Estates, which includes three tiers of estate wines plus a single label dedicated solely to charity: Mercer Estates, Mercer Estates Reserve, Mercer Canyon and Eagle & Plow. 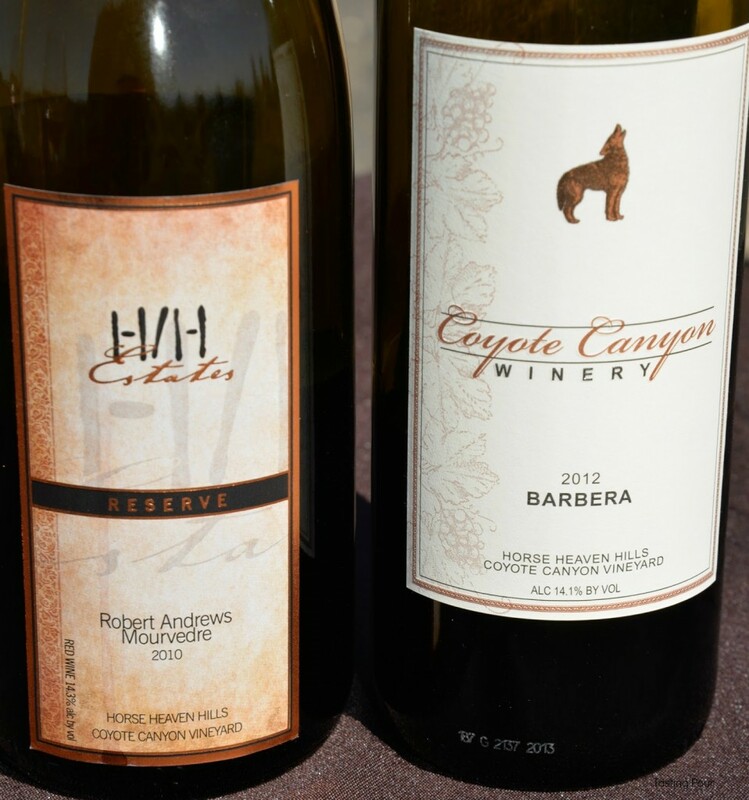 In 2006 Mike Andrews began making wine under the Coyote Canyon Winery label and also produces wine as H/H Estates. 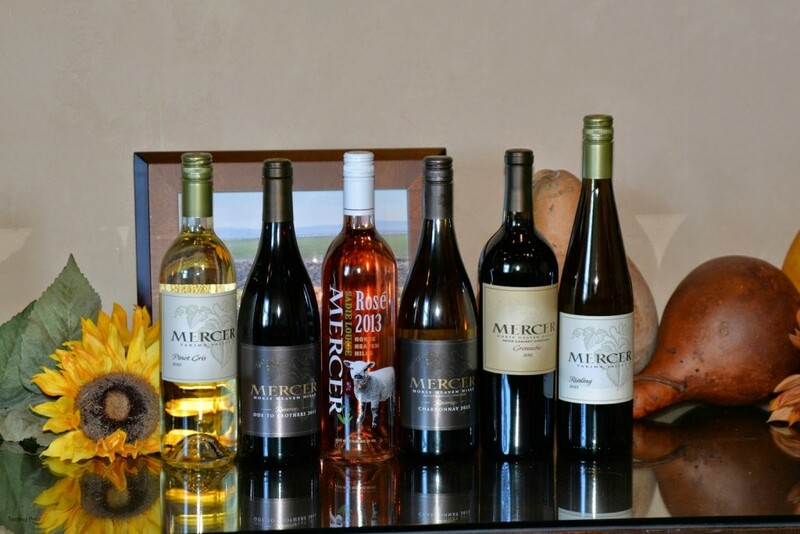 Fine wines are made by Alexandria Nicole Cellars whose vineyard neighbors Mercer’s. A handful of vineyard/winemakers work independently of the Ste. Michelle labels. Martinez and Martinez is a small family-run operation of second generation wine folks (cousins to the Mercers). They use hand-picked fruit from Martinez and Alder Ridge Vineyards to make small lots of well structured wines. Champoux Vineyards superb fruit, including some of those original vines in Horse Heaven Hills planted by Bob and Linda Mercer, falls into the hands of an elite and lucky group of associate winemakers. Look for labels from Quilceda Creek, Powers Winery, Andrew Will Winery and Woodward Canyon Winery. How much is Horse Heaven Hills treasure worth? Expect to pay half or less for a Horse Heaven Hills Cabernet Sauvignon compared to one of comparable quality from Napa. Quite the deal when you consider the many awards that Horse Heaven Hills wines have received. The 2005 Columbia Crest Cabernet Sauvignon Reserve was Wine Spectator’s number one wine of the year. This wine included a substantial amount of fruit from Horse Heaven Hills. Visually, the Horse Heaven Hills does not fit the stereotypical image of “wine country.” The landscape is brown and vast. There are long stretches of nothing but barren, windblown hillside and shallow canyons, with only a few tenacious, scrubby trees and shrubs. Even the evocative name is a bit misleading. This “Horse Heaven” is more of a broad, gently sloping plateau between the Yakima and Columbia Rivers. Still today one can travel for miles without seeing another car, a gas station or even anything green. Many would have supposed the whole area to be too difficult to farm. Fortunately these growers discovered the treasure of Horse Heaven Hills. For more stories about Horse Heaven Hills see articles from our colleagues Jameson Fink at Wine Without Worry and Mary Cressler at Vindulge.